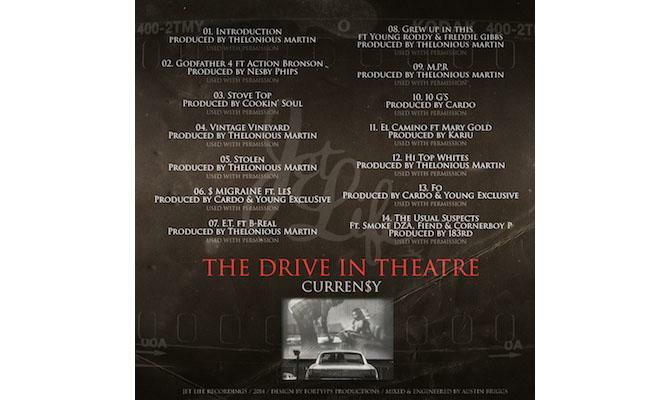 Curren$y delivers his new tape "The Drive In Theatre" on February 14th. Spitta prepared a new mixtape for the fans, The Drive In Theatre, which contains the previously-released single "Godfather 4" with Action Bronson. 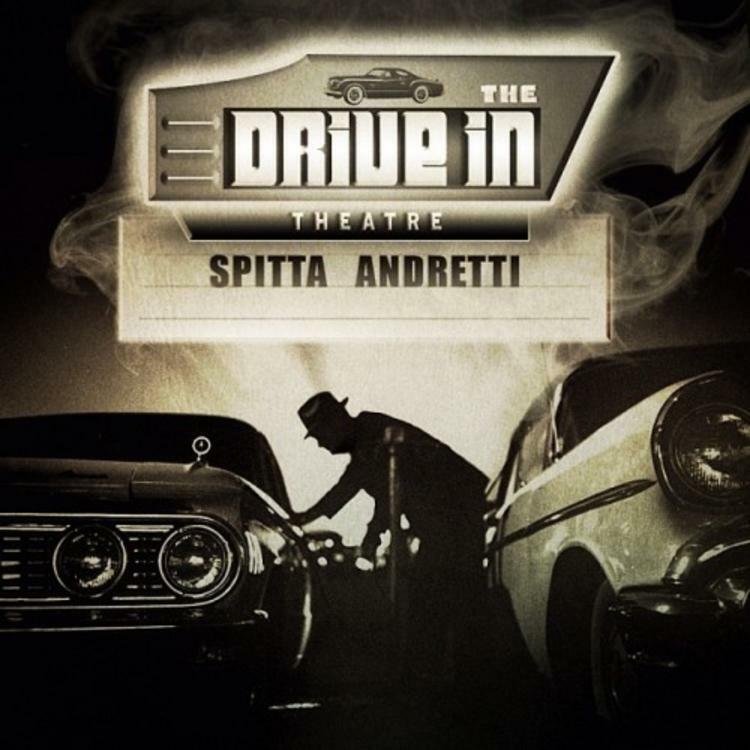 We've now added the tracklist to Spitta's new release, and as you can see production comes from Cardo, Cookin' Soul, Theophilus London, Nesby Phips and more. Curren$y's got some strong features including Freddie Gibbs, Young Roddy, Action Bronson, Smoke DZA, Cornerboy P, and Fiend. The new tape arrived on Valentine's Day at 4:42 PM exactly, paying homage to the muscle car (you may also recall the Jet Life rapper had a record "442" with Lil Wayne & Birdman). If you are a fan of the Hot Spitta, you know he loves his cars. You'll probably hear several more car references through out the mixtape, in fact. 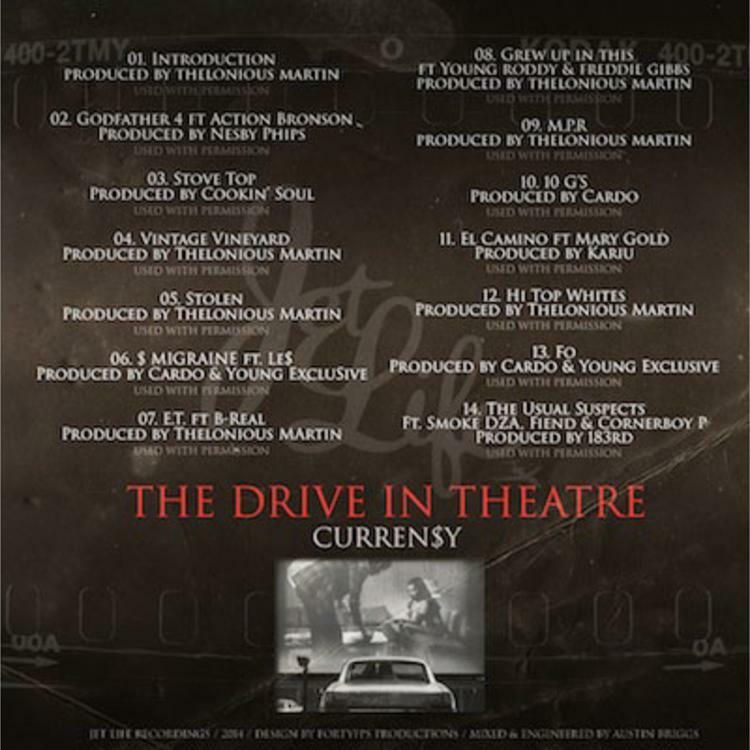 Curren$y's got a lot of strong mixtapes in his past, all of which you can cop here. Download this one and let us know what you think of the new release by rating it!